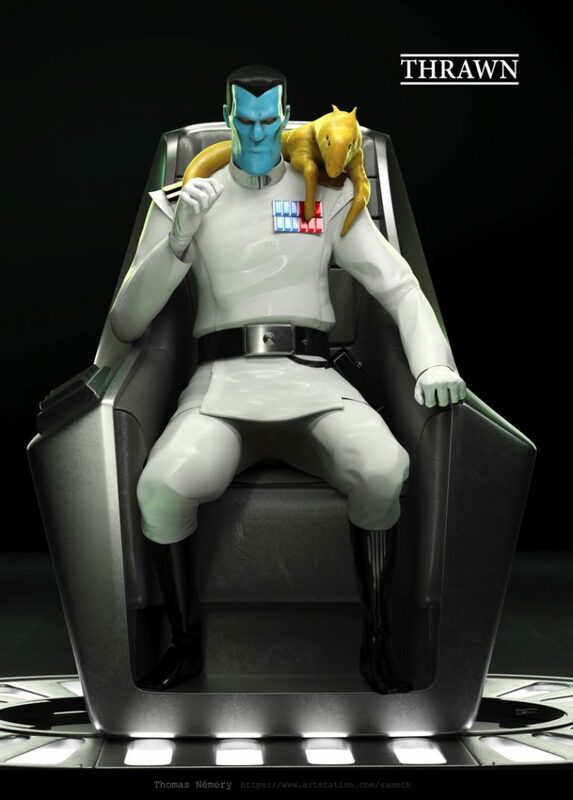 Grand Admiral Thrawn is a Mack Daddy when it comes to strategy and combat, but he’s also a badass when it comes to Star Wars art subjects. 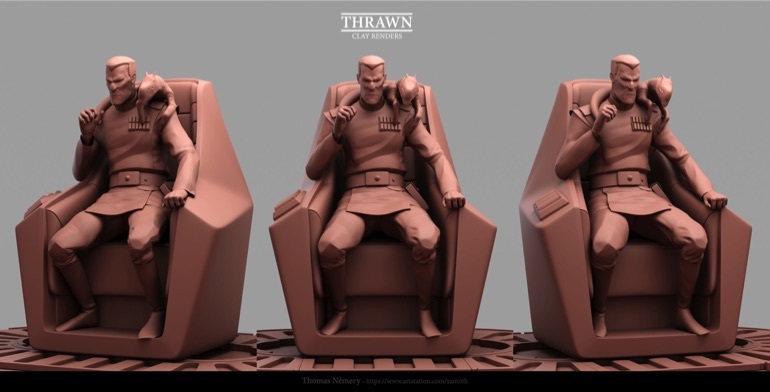 For example, the 3D Thrawn print from Thomas Nemery that you’re looking at in this post could be one of the coolest looking Star Wars fan art pieces I’ve ever seen. 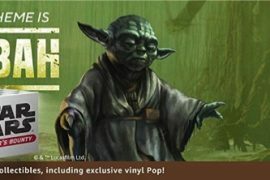 In fact, I wish it was an officially licensed collectible statue, because I would kill a porg to own one, and I love those bulbous little birds that befriended Chewbacca. 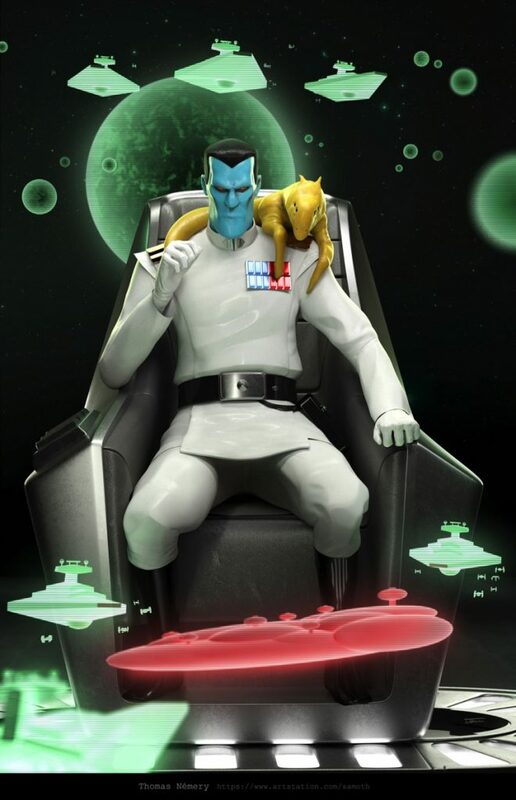 I mean just look at how sinister looking this statue of Thrawn comes off. He looks more evil than Emperor Palpatine himself, and I’d even say he looks like he could go toe-to-toe with Vader, albeit if Vader were in his meditation chamber and not in his life support armor. I’m not nuts, no way this guy could take on either of the most infamous Sith Lords, but he sure does look imposing thanks to Nemery’s killer 3D print. Apparently it was designed with the Arnold Renderer for 3DS Max. That just makes it sound ever more imposing. If you’re interested in checking out more pieces from Thomas Nemery, make sure to head over to his ArtStation gallery.